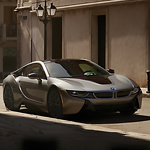 The BMW i8 Roadster is a hybrid sports car with a 1.5-Liter inline three-cylinder gas motor combined with an electric motor that generates a total of 374-horsepower and accelerates from zero to 60 mph in just 4.4 seconds. Are you interested in purchasing a vehicle that has been driven by someone else but that is still in excellent shape? Are you looking to save money by purchasing a pre-owned vehicle? 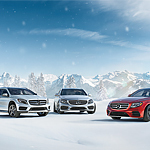 You can get set up with a high-quality vehicle when you purchase a Certified Pre-Owned Mercedes-Benz vehicle. 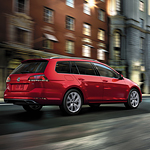 Many of the customers visiting our Umansky Motor Cars showroom to take a peek at what's new quickly fall in love with the versatile Volkswagen Golf SportWagen. It's been designed to combine the best features of a popular hatchback with those of a sporty compact car. 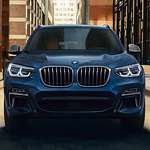 When you are choosing a vehicle, you might find yourself drawn to those options that have a number of luxury features to keep you comfortable and happy. 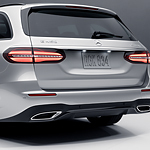 The popular luxury wagon from Mercedes-Benz, the E 450 4MATIC Wagon, is available with a number of different luxury features. Come to Umansky Motor Cars to check out this luxury vehicle. Going on long journeys can be tiring, especially if you are the one driving the car. Wouldn't it be nice if you could get a massage while you are driving? One thing that people like to show off with their vehicle is the sound. 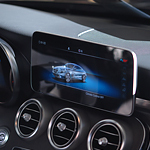 As a matter of fact, multimedia and sound has become an important part of the driving experience. 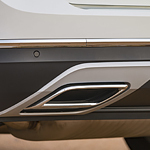 We look for cars like the 2019 Mercedes Benz GLC 300 for our Umansky Motor Cars lot because they give drivers the opportunity to get the most of their sound. A C-Class sedan may deliver A-levels of looks, performance, and enjoyment. The Mercedes-Benz C 300 hits big on all three of these points and more. Performance, in particular, lives up to the exceptional Mercedes-Benz name. Drivers maintain great influence over how the car handles on the road. The Dynamic Select feature allows for tweaking the Mercedes-Benz C 300's performance. The tech feature allows a driver to alter the drive mode five different ways. You can even craft a custom mode. The multilink suspension further supports a smooth, appealing ride. The Volkswagen Golf is a compact car. This means it can easily move in and out of lanes on the road. Furthermore, this vehicle is extremely is easy to park in tight spaces. Though this vehicle may be small, it has a 1.4-Liter engine, and the engine comes fully turbo charges. The engine can be purchased with a larger size engine depending on the model that is purchased. The Volkswagen Atlas is a popular family-friendly SUV at Umansky Motor Cars in Milwaukee because it comes with a number of features that provide you with efficiency and capability. You can read about a few of its performance features below. The Atlas comes with an eight-speed automatic transmission that features Tiptronic and Sport mode for outstanding efficiency and performance. When you use the Tiptronic mode, you have the ability to shift manually for more control of your driving experience. 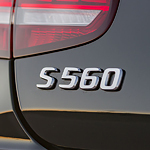 What makes the all-new Mercedes-Benz S 560 such a popular luxury sedan? For one thing, the exterior features are certainly going to be turning a lot of heads when you drive by. Tribute to the lightning fast twin-turbo engine in the Mercedes-Benz S 560, this vehicle comes with 19-inch multi-spoke wheels that look like they are moving while standing still. The design of the wheels only complements the entire sleek design of the vehicle, taking luxury sedan and combining it with a sports car.